Police investigating the murder of schoolgirl Amanda 'Milly' Dowler have confirmed they are investigating a link with DNA found in a church in Sunderland. A DNA sample taken after a theft at St Paul's Church, in Ryhope, on 31 October 2002, was later found to be a "direct hit" with DNA found on a piece of Milly's clothing. It matches DNA found on a coffee cup at the church and Surrey Police said the link was discovered through the national computer database which matched the two samples. A spokeswoman for Surrey Police told BBC News Online the item of clothing was an "historical" item and not found at the murder scene. I gave a list of male members of the congregation, or anyone who had a link with the church, and DNA samples were taken from us. Officers from Surrey Police travelled to Sunderland on Sunday where they took DNA samples from 46 men connected with St. Paul's Church after it was found the sample taken from the church did not match the DNA from the people responsible for the theft. Detectives are now trying to find out who the DNA belongs to and why it was present on an item of her clothing. Police refused to divulge what the item of clothing was. Police stress the wanted man is not believed responsible for the murder of the 13-year-old schoolgirl but may have "valuable information." A spokeswoman said: "There was a theft at St Paul's Church back in October and as part of the investigation, the place was forensically tested and police took DNA samples. "They got a sample from a cup that someone had drunk out of. It was fed into a national database and it matched up with a DNA sample found on an item of clothing belonging to Amanda, which was found at her house after she had gone missing." The breakthrough came 10 months after Milly disappeared from her home in Walton-on-Thames in Surrey. Milly's body was found in woodland in Hampshire. 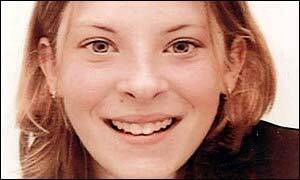 She was last seen on 21 March 2002 walking from the railway station on her way home from school. The Reverend David Meakin, from St Paul's Church, was one of the 46 men who gave samples. He said: "I gave a list of male members of the congregation or anyone who had a link with the church and throughout Saturday and Sunday DNA samples were taken from us. "Everyone was more than happy to help. "It was an awful lot to take in, to be asked to come to church and to be told what had happened and how the link had been made. "The reaction of everyone was surprise, shock and some people were literally shaking. "But in spite of that, everyone was eager to help police as best we could. "It's just such a freaky link that should drag us into this and I would love it to get to the point where there was some sort of answer." Mr Meakin said that the DNA link was established after a burglary at the church in which DNA evidence was left on a cup. "Milly's disappearance led to a huge police investigation"